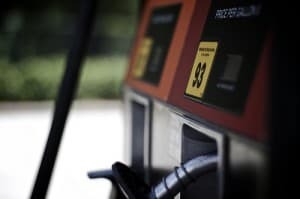 Should I Be Using High Octane Fuel? Should you be using high octane fuel in your pickup truck? Most truck owners wonder this same thing, and there are a number pros and cons when it comes to high octane fuel. High octane fuel is, by definition, a fuel that has less sulphur than the typical, unleaded fuel that you buy at the gas pump. This higher octane recipe is said to provide a truck’s engine with more power and cleaner exhaust emissions. It also promises to increase your automobile’s gas mileage, so you will use less fuel, saving money in the long run. As stated above, high octane fuel can increase your pickup truck’s gas mileage. In addition, it helps the planet, because your truck will emit cleaner exhaust emissions. This type of fuel will give your engine more power and will also help prevent any “pinging” or “knocking” in the engine. These sounds are signs that your truck’s cylinders are not burning fuel as they should, indicating fuel and air are not mixing correctly in your cylinders. A high octane fuel can help you avoid this. If left untreated, the pinging and knocking can lead to engine damage. This type of fuel is a better combination, and will provide an increase of power in the right engines. The first, and biggest, drawback of using high octane fuel is the cost. It typically costs about 15 to 20 percent more than regular unleaded gasoline. Many people feel that this type of fuel is just a waste of money, as they do not see an increase in power. If you do not have a high compression engine, the fuel can be wasted on your truck, as no additional power will be added via this type of fuel. If your engine is not designed for a high octane fuel, it is possible that you can do some unnecessary damage to the O2 filters, causing some buildup–and more problems down the road. Please note that if your owner’s manual calls for premium, high octane fuel for your high-compression engine, you should not deviate from these instructions and choose another type of fuel.